Today the NY Times ran a great editorial on where to go in 2012. We were thrilled to see Helsinki in the #2 spot. Enjoy. 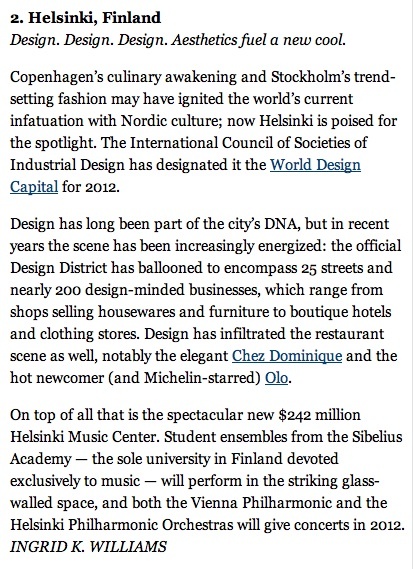 For more info on World Design Capital Helsinki 2012 and all the happenings click here. For happenings at the Helsinki Music Centre (Musiikkitalo) click here.